Participating in a series of mini votes on topical issues stimulated further reflection and meaningful discussion on what rights digital citizens should have, and how their security and privacy should be protected online. 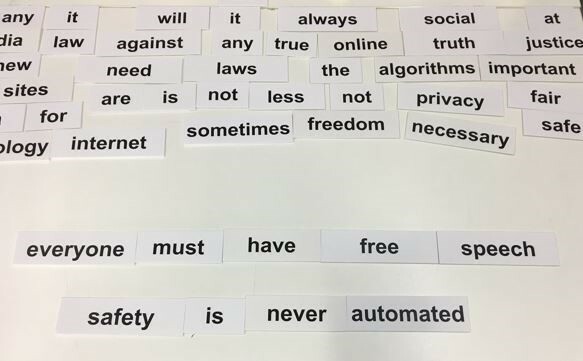 Some attendees expressed their views by making sentences out of a word puzzle. Amongst other activities, attendees were given a series of cards that depicted common scenarios of things that people might search for on the internet (e.g. buying a pair of shoes, looking for a job, reading the news etc.) alongside a range of types of information (e.g. the school a person attended, phone number, gender, browser history etc.) that may or may not be accounted for when making their search. 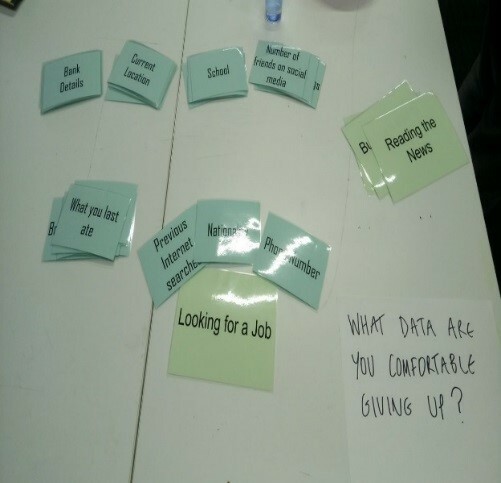 This provoked reflections on what data attendees were comfortable (or uncomfortable) for data recommender algorithms to take into account when making these searches, and what data might already have been surrendered by users in these and other common searches on the internet. 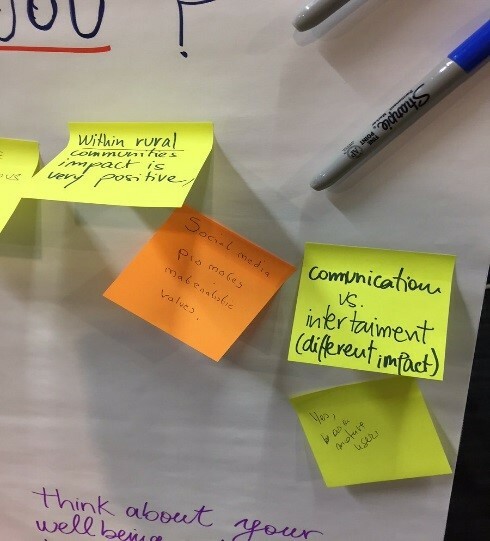 Attendees were also broached with the question of ‘How does the internet take care of you?’ Post-it notes were used to ask festival goers to write their thoughts down. 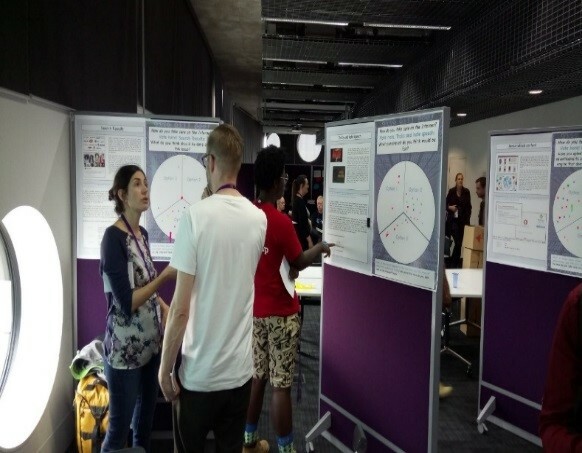 Members of the UnBias team were on hand to answer any questions and further information relating to the project was available for attendees to take away with them. MozFest brought together a diverse audience including academics, NGOs, people from industry and members of the general public of all ages, from different countries and across different disciplines, to engage in discussions from civil liberties and public policy to privacy and online security, which are issues that affect us all. 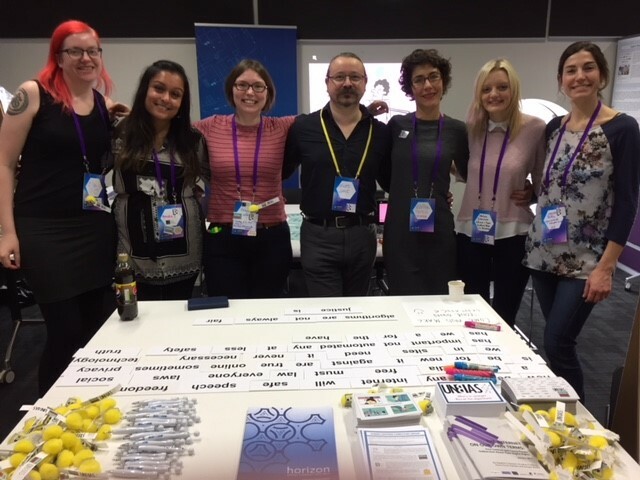 This gave the team a fantastic opportunity to encourage meaningful conversations, to learn more about the perspectives and experiences of others, to provide further information about UnBias and to establish new contacts for possible future collaborations.